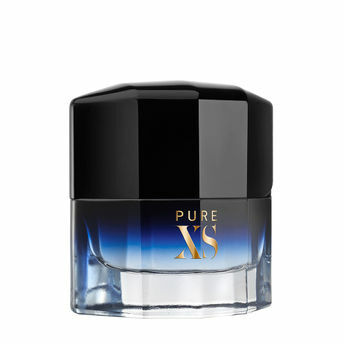 Paco Rabanne's new 'Pure XS' fragrance embodies intense power, attraction and fantasy.Robust, irresistible vapours that hover between the purity of raw desire and the pleasure of excess, 'Pure XS' is an oriental fragrance for men infused with oriental, spicy woody facets. This vibrant, magnetic and fresh oriental scent, opens with top notes of fresh icy ginger, vegetal sap and thyme. These are matched with warm notes of cinnamon vanilla and myrrh. A contemporary design that gives rise to the idea of a lighter, Pure XS opens up, one handed with a black lacquered cap. The bottle is a weighty glass with polished edges: instinctive and substantial. Packaged in black velvet, all is luxuriously sensual. Electric blue and gold, the shock of sensory contradictions. Explore the entire range of Perfumes (EDT & EDP) available on Nykaa. Shop more Paco Rabanne products here.You can browse through the complete world of Paco Rabanne Perfumes (EDT & EDP) .Alternatively, you can also find many more products from the Paco Rabanne Pure XS Eau De Toilette For Men range.